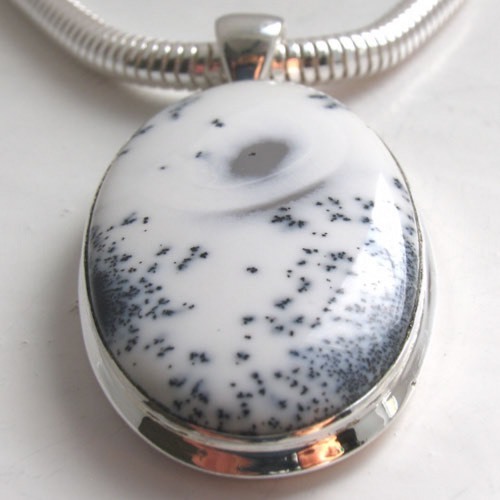 Large oval dendritic agate pendant. 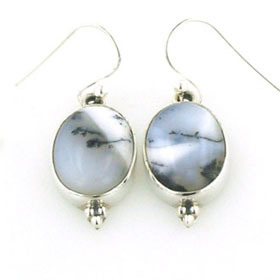 This wonderful gemstone has a translucent eye at its centre. 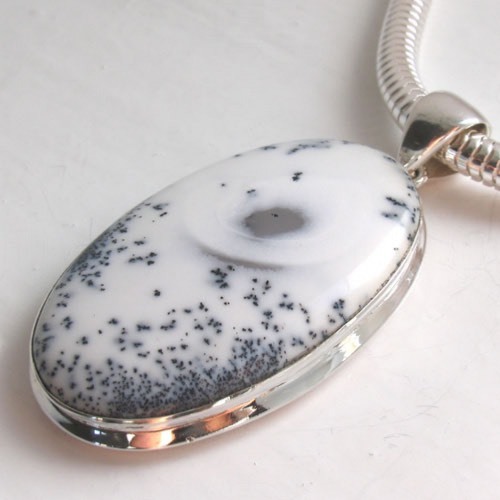 Around this is a swirl of white. 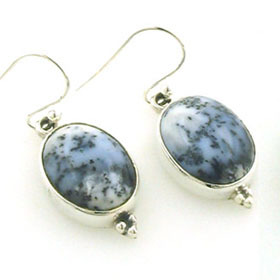 Around the edge of the stone are tiny specs of black and charcoal grey. 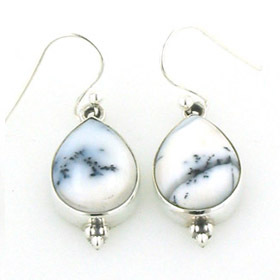 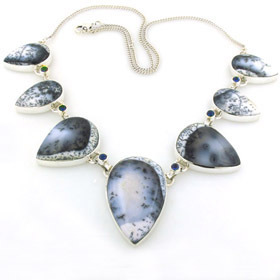 Dendritic agate is a semi-precious gemstone which makes stunning jewellery. 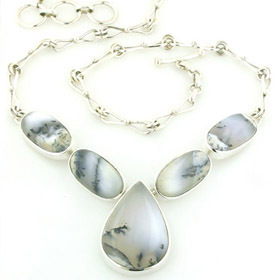 Each piece is unique and hand selected for quality and patterning. 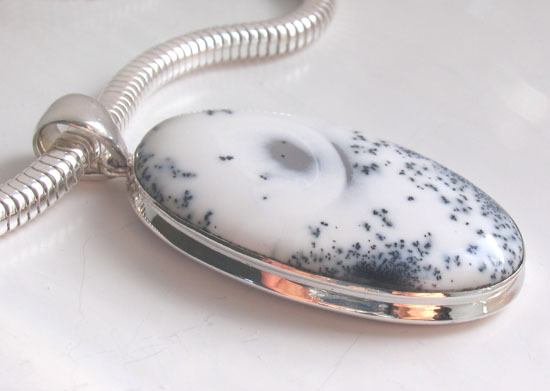 This pendant is set in sterling silver with a smooth shaped bale. 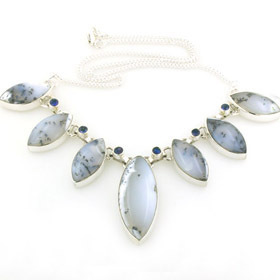 See our Italian sterling silver chains for the ideal chain to wear with this special pendant. 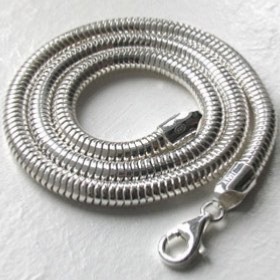 The chain we show is our popular silver snake chain, width 5mm available in lengths 16" to 24".